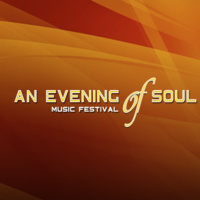 An Evening of Soul with Jeffrey Osborne, originally scheduled to take place Saturday, September 22, at the Wolstein Center at Cleveland State University, has been rescheduled. The new date is December 8, 2018. Tickets purchased for the original date will be honored for the rescheduled date. Due to scheduling conflicts with the new date, Peabo Bryson has been replaced by The Whispers. If ticket holders wish to receive full refunds, please contact your original point of purchase. For online and phone orders, please call 1-888-324-5849 and press 1. Please have the credit card you used to purchased the tickets ready when calling. For tickets purchased at the Wolstein Center Box Office, please visit the Wolstein Center Box Office during business hours with your tickets to receive a refund. The Wolstein Center Box Office Hours are Monday through Friday, 10:00 a.m. to 6:00 p.m.
For tickets purchased via Groupon, please contact Groupon.